Kendrick Lamar and Jay Rock received an early career boost from Tech N9ne and his Strange Music label, helping expose the California rappers to new fans and life on the road. According to a COMPLEX story published on March 22, while on their first major tour, the duo recorded music with E-40, who was also on the bill, that remains unheard to date. Apparently, E-40 would regularly record with a portable studio setup in his hotel rooms, and was joined semi-regularly by Jay Rock and Lamar. E-40 recalled the tour fondly, saying he was happy for Lamar’s success. “Everybody on that tour, we was all just one big family. We respect and got nothing but love for each other.” >> E-40 said. 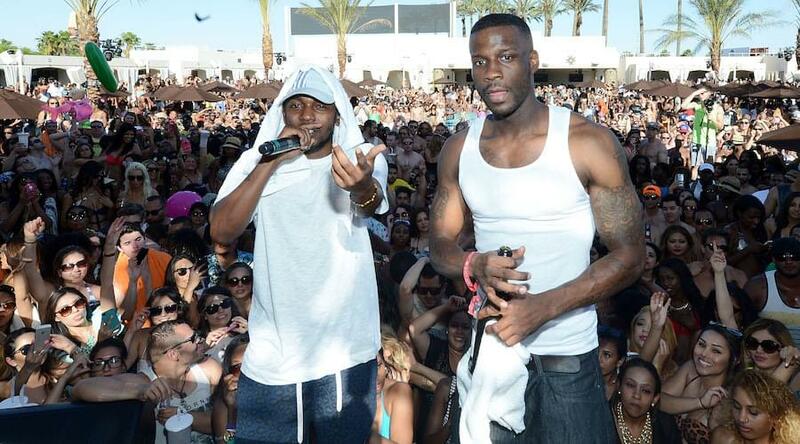 On the tour, Lamar actually served as Jay Rock’s hype man. At the time, the latter was languishing on Warner Bros., with the major label not offering him meaningful support. Tech N9ne and Strange Music brought the pair on their “Independent Grind Tour,” which included E-40, along with Krizz Kaliko, Glasses Malone, and more. Lamar and E-40 have only released one collaboration together, the track “Catch a Fade,” which appears on the Bay Area veteran’s 2012 album The Block Brochure: Welcome to the Soil 3. E-40 and Jay Rock worked together on the 2016 cut “Money” from the former’s The D-Boy Diary: Book 2. @E40 is the most hood/street artist of all time. I'm talkn "dept". Concepts. Everything is realistic & relatable. In a 2013 interview E-40 called Lamar and TDE “the future,” and said Lamar was deserving of his significant success. Lamar and Jay Rock remain TDE label mates and regular collaborators, including on the Grammy winning “King’s Dead” from 2018. In 2007, they released the mixtape No Sleep Til NYC together, which featured appearances from future TDE members Ab-Soul and Punch, the label’s president. Genius looked at the evolution of Kendrick Lamar’s different nicknames through his music in the video below.